Ubisoft has teamed up with Microsoft to offer a version of Assassin's Creed Pirates for free on the browser. It is available in Chrome, Firefox, Opera, Safari and Internet Explorer with both touch and mouse/keyboard input support. The mobile spin-off title of the latest console entry first released last December for $5 when developer Ubisoft said there was a good chance the game would never make it to the desktop. In some ways that statement has remained true. 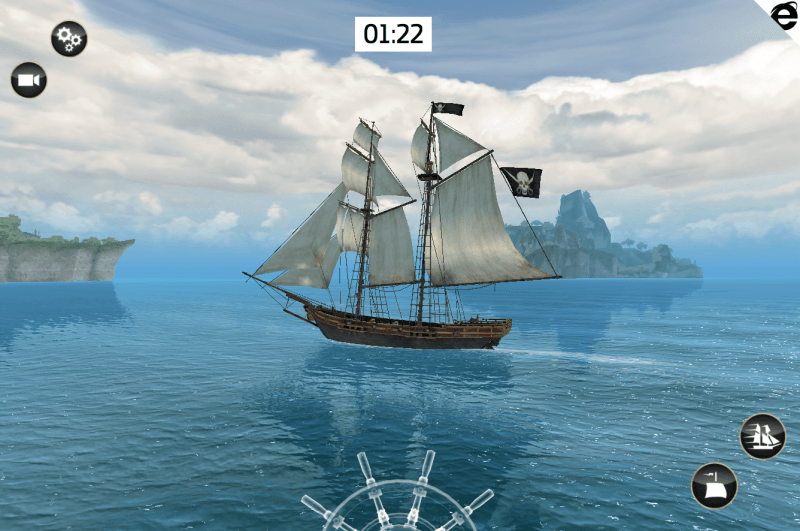 This new Assassin's Creed Pirates is a somewhat stripped down version compared to its mobile counterpart. The visuals are very similar but we don't get the pirate battles found on tablets and smartphones. Instead, the browser version is a simple ship racing game where players race through a familiar setting to anyone who played Black Flag, avoiding obstacles and trying to get the best time. You'll find a nice little weather selection feature in the top corner with 9 different options available, along with your usual social functionality including leaderboards and invitations.